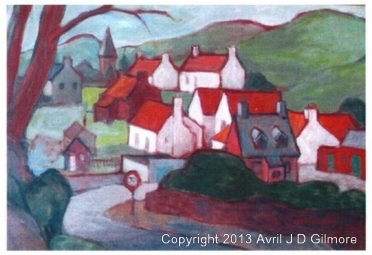 The greetings card ‘Garvald in Winter’ by Avril J.D. Gilmore can be purchased for £1 per card, with all proceeds being donated to Garvald Village Hall Trust. The card is left blank inside for you to write your own message. It can be purchased from Hazel at 6 Burnside Court.